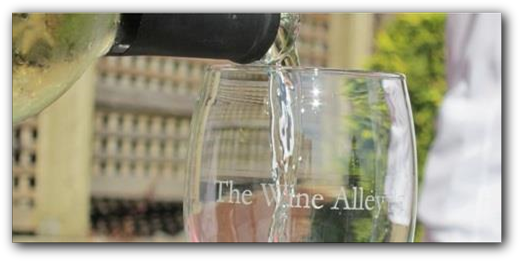 Established April 29, 2005, The Wine Alley, was purchased from its founders, Scott & Allison Helfen, on October 1, 2015 and is now owned and operated by Touré and Charisse Sam. Whether you are new to the world of wine or have a cellar consisting of thousands of bottles, The Wine Alley’s personalized and friendly service will assist you. 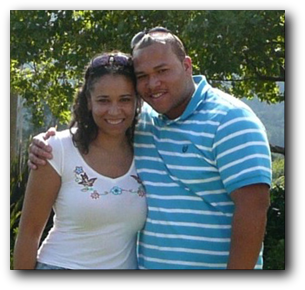 Touré and Charisse are both natives of Salinas, California. In 2004, they moved to Virginia to be closer to Touré’s family, and to see what opportunities awaited them there. After settling in Northern Virginia, just outside of Washington, DC, they established their careers - Touré as a retail manager, and Charisse as a legal assistant - got married, bought a house, and adopted an adorable pit-lab mix named Mya, but they never stopped missing the culture of the West Coast. On November 25, 2017 they're daughter Natalie was born! After vacationing in the Seattle area in the summer of 2014 to attend Charisse’s brother’s wedding, Touré and Charisse knew they were “home” and made plans to move to Seattle. Ten months later, after quitting their jobs and selling their house, they were on their way to Seattle, ready for any adventures that awaited! One of the things Touré and Charisse were looking forward to most after moving to the beautiful state of Washington was exploring the amazing wine and wine countries of the Pacific Northwest. They have always loved and enjoyed drinking and learning about wine, and they have toured the wine countries of Napa Valley and Monterey County in California, southern Arizona and Northern Virginia. Only four months after moving to Seattle, they found themselves putting their love of wine (and beer) and entrepreneurial spirits to use as the new proprietors of The Wine Alley! The Wine Alley's founders Ally and Scott built an amazing shop with a loyal customer base, and Touré and Charisse look forward to providing the same great service, good times, and of course the same excellent selection of wine! Are you looking for a special bottle of wine that you just can't find? Just ask us. The Wine Alley provides special orders services with no minimums. You can email, call (425-271-4501) or come to the store to inquire about the availability of the wine for which you are looking & events. If it is available, your order is usually fulfilled within 3-5 days with complimentary delivery throughout the Greater Seattle area. 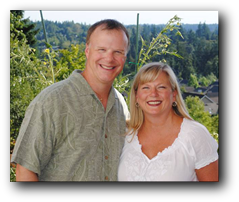 Established on April 29, 2005, The Wine Alley was founded by Scott & Allison Helfen. Allison Helfen grew up in Snohomish, WA and graduated from Washington State University with a Hotel / Restaurant Admin degree. She has been in the hotel industry for the past 20 years. Scott Helfen grew up in Highland, IN (NW Indiana) and graduated from Purdue University with a Computer Programming degree. Scott moved to Seattle in 1993. Being the wine and beer lovers that they are and living in such a great state that produces some of the world's best wine and beer, they decided to share those products with their community and neighbors. Washington and Oregon are two of the fastest growing wine and beer producing regions in the country. Scott and Allison were excited to bring unique, hard to find wines and beers to their customers everyday. And if you have noticed, we have two wonderful golden retrievers, Maggie (on the right, passed away May 2013) & Mac, who are our store mascots.